The date is 24th of January, and we are 7 days away from Feb 1st. The month that makes us get in the mood to show love. I am starting a new series from today to Feb 14 on business ideas to rock this season of love. Keep checking me up. Aight. While a lot of people will be strategizing on how to make sure they get a Val's gift, we will be in the business of making sure they get a Val's gift. Today, I am going to show you how to start a personalized basket business. I noticed that the only times you see gift baskets in Nigeria is doing the Christmas holidays, when people exchange hampers. We can take this act a nudge higher by packaging nice little baskets with personalized essentials. It is not only innovative, it is very thoughtful, and will make the recipient of the gift feel very loved that attention was given to his/her interests. You can call your self a gift consultant. lol. There are so many funky careers and job descriptions nowadays. Step 1: Have a consultation with your client. Find out as much as you can about the loved one that is to be gifted. Ask questions like What do they like? What are their hobbies? What do they need? What do they like to eat? etc. Come up with a proposal, and get approval or corrections from your client before you proceed. Try as much as possible to be vast, so that if you are in a position to advise, you will make me proud. That was pretty obvious I guess. Look for where you can get the best deals and good quality too please. You have a reputation to build and maintain. First of all, you need to get your tools. 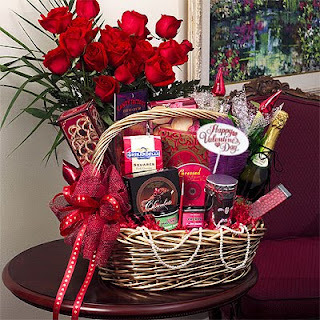 Gift Basket or Container: Collect gift baskets and containers of various sizes, shapes, materials, and colors. Wicker baskets, wood baskets, cardboard boxes, wire baskets, plastic pails, photo boxes. They may have handles or lids. Filler: Tissue paper is common filler. It comes in sheets and in several colors. Crumpled up tissue paper stuffed in the bottom of the basket acts as a base for the gift items (elevates the gifts) and is used to fill in the space between the presents to prevent them from rolling around. Shredded paper is often used as basket filler. You can make it yourself if you do not find to buy in a craft shop. Fabric can also be used as filler. Wrap: Cellophane is commonly used as gift basket wrap. This transparent paper-like film protects from contents from moisture. Cellophane may be purchased in rolls, sheets, or cellophane bags. It comes in clear or transparent colors, and a huge assortment of prints are available - holiday prints, flower prints, theme prints, etc. Cellophane rolls and bags come in a variety of sizes. Tulle netting can also be used to wrap. It is a sheer fine netting often seen in veils. Ribbons and Bows : There is a wide assortment of ribbons and bows to choose from. It can be made in different textures, colors, prints, and sizes. There is sheer ribbon, metallic ribbon and fabric ribbon, polyester, cotton. Satin ribbon is popular, as is curly ribbon. Have a variety of bows and ribbons on hand. Enclosure Cards : These are typically 3 ½ x 2 inches sized cards that come with envelopes to attach to your gift basket. A short message from your client to the recipient will be written on it, and it will bear your client's name. Wrapping Paper: Items in the gift basket can be individually wrapped. This is optional. Certain items can be wrapped and others left unwrapped. Adornments & Decorations: This is left to your creativity. Fill the bottom of the basket or container with your chosen filler to raise the base on which you will place your gifts. Place your items on top of the filler and fill in the bare spaces with more filler. Place the tallest item near the center. Place the other items around it, from the next tallest to the shortest - facing the outer edge of the basket. The basket should look balanced from all angles, especially if it to be used as a centerpiece. Alternately, the smaller items can be placed at the front and taller items at the back so the gift basket actually has a front and back. This method is usually simpler. Adequate filler is required to keep items in place. You may have to anchor certain objects with double sided tape, or glue dots, If necessary, a piece of Styrofoam may be glued to the bottom or side of the basket to anchor objects to. The gift basket is usually wrapped to help keep the contents in place and/or to protect the contents from moisture. It also stops people from handling the items in the basket. Wrap your gift basket, and add a bow. Beauty Basket: This can include Make up, Perfume, Nail polish, hair ornament, Body Cream, Manicure set, Facial cleanser, exfoliating scrub, etc. Car Care Basket: This can include a large sponge, glass cleaner, car towel, car wax, travel mug, a new key chain, a favourite CD, etc. Hair Basket: Shampoo, Conditioner, Set of combs, weave-on, lace wig, etc. Bath Gift Basket: Bubble bath, Aroma therapy oils, massage oil, Scented candles and holders, Pumice stone, Washcloths, Back cleaning brush, CD, rose petals, etc. Chocolate Basket: Do I really need to write anything again. Feel free, Explore, the list is endless. This may be long, but it is definitely not rocket science. It is amazing, these people have become a success from telling people how to do things. I am sure you have guessed, that is what we are going to be talking about today. You want a modern name for it, you can call it "Facilitating". Nowadays, an English teacher has turned into a Communication consultant, teaching you how to pronounce properly (Oral English), how to use the right tenses, (Grammar), etc. Even etiquette is now a big thing, dressing, people are even teaching teenagers how to cook for a fee. These times are really interesting, and it's fun to see how creative people can get to put food on the table, get job satisfaction and fulfill destiny. The truth is it's is all about packaging, and people pay BIG money for these kind of services. I'm telling you. People are doing it and so can you. To do this is pretty simple, all you need is to do some soul searching. What can you do easily that others find difficult to do? Some of you have have the answer straight up, some may need to do some soul searching, some may need to ask family and friends, what ever you do, have an answer. Step 2: Develop yourself, get materials, read books, browse, so that you can become more knowledgeable. Step 3: Look for a target market. Who will be interested in learning what you have to teach? Step 4: Approach them and set up a small class. When starting, you can charge a very low fee or even free. This will help you to build credibility, make some mistakes and learn from them. Ensure you ask , accept and use feedback wisely. Try to make use of the resources you have around you. Do not start looking for big money, and using lack of funds as an excuse for not doing anything. Step 5: As you get better, increase your marketing. Ask for referrals, make use of social media, word of mouth, etc. Step 6: Continuously develop yourself. See it as an investment. Before you know it, not only will you be smiling to the bank, you will also be in the papers. We all know how last year ended for a lot of people, some remained jobless, some got jobless, some got their salary slashed, some went through the restructuring drama, some held on to their jobs, some realized there are no jobs out there, some went back to school, and some decided to become suicide bombers. Oh well, the drama never ends in Naija. Like I said before, this is the perfect time to start a business. Most great companies started in a downturn, so get courageous and try something out, start something new. However, I must warn you that you need to have an inner drive. Do not just copy people or try to force it, you will most likely burn out. Before I forget, please do not go and start "yahoo yahoo" ventures oh, EFCC will catch you, and the fate of Mutallab will be yours. Say Amen. I want a light bulb to light up on your head, so today, I am featuring a successful entrepreneur I admire. What I love about her is that she dared to be a pioneer. Her name is Tara Fela Durotoye, and if you do not know her, you are definitely living under a cave. Tara started making people up in school as a hobby, and then decided to turn it into a business. At this time, nobody was willing to pay any money to get made up, and people even mocked her and told her to her face that nobody was going to pay for make up. She faced a lot of challenges, and being a Nigerian based business, I am sure she had to conquer many battles. Today, she has grown her business from doing make up consultations with a make-up box to 6 branches nationwide, a makeup line, a beauty school, and has even launched a perfume. The best part of her success is that she has provided job opportunities for thousands of young women to be financially empowered. Now, that is the kind of person I want to be. As usual, I have some healthy tips on how to become a makeup artist. There are two ways to go about this; You can either be self taught or you can take some classes. The constant thing in the both approaches is that they both require lots of practice, self development, dedication and patience. Read a lot of books, study pictures in magazines, search for "how to" videos and notes on the web, do not be afraid to ask questions from professionals when you meet them, etc. When you start getting good, create a portfolio. This will help you to start getting jobs, and then you follow the yellow brick road. We have another New Year on our laps, bringing hope and filling us with loads of expectations that better days are yet to come. 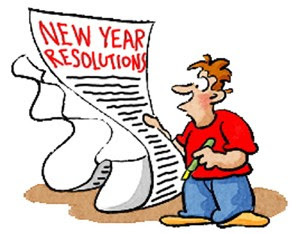 We are encouraged to take a new lease of life, and inspired to make New Year resolutions. However, we all know the fate of New year resolutions. They have a common destiny (most of the time). We make resolutions, only to break them in the first week of the New Year. I resolved to do something new, and I encourage you to give this a thought. If you are unemployed, start a business. If you run a business, do something to improve the business. Either way, just do something. I challenge you! I will be showing you how to do some things, but what is most important, is that you open up your heart or maybe your mind. Please watch this space, this is going to be our most eventful year ever. The last week of any year forces me to reflect on the year that is about to end. I reflect on mistakes I made, achievements gotten, family and friends, the state of my life, things I’m grateful for, things I expect to have in the new year, how I want my life to turn out in the new year, I set goals, I take up new hobbies, decide on what fantasies I want to live out in the new year, etc. I enter the New Year with so much expectations, I feel like I’m about to embark on a journey, and the thought of a journal to start the year with is a welcome idea. I’m sure you guessed it by now, you can start a journal business. 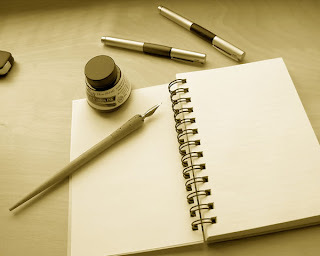 A lot of people will like a good looking journal to document their journey in the New Year; they want to write how they’ve been able to stick with or fight their New Year resolutions, they want to write their hopes for the new year, their dreams, fears, expectations, etc. There are a lot more things people can use journals for. Someone interested in culinary skills can use it to collect recipes, a fashion designer can use it to draw designs, the possibilities are limitless. There are a lot of ways you can do this. You can buy journal paper or plain sheets and cut them to the size you desire with the help of a paper cutter. If you want lines to be printed on your journal paper, you can design your sheets with the help of Microsoft Excel. Punch holes and bind with a comb binder. Step 3: Decorate the journal cover. Now, this is totally up to your creativity. You can decorate the cover to reflect dreams, hopes, expectations, or even ventures like cakes, fashion designing, etc. This is what will make people interested in your journals. It has to look good, and be durable. Study decorative books to see how the covers are made, visit craft shops to see what is available at your disposal, experiment with different, materials such as fabric, photographs, cardboard, etc. You can consider protecting your journal by laminating the cover with a self-adhesive lamination kit. You can decide to separate your journal into sections by using dividers or colored tabs. Label these tabs with headings like "dreams," "memories," "lists," "poems" or any other categories you can think of. Step 4: Sell and be creative about your marketing ideas. We’ve all done this before, one way or the other, probably when we were doing a term paper in school, or a proposal for someone. Either way, this is not rocket science.